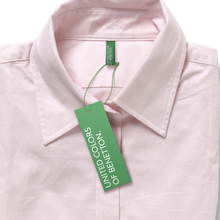 Designed by Joe Finocchiaro for Pentagram’s rebranding of Benetton in 2011. Based on Gill Sans. Changes include normalized proportions of the caps, a straight-leg ‘R’, and more contemporary shapes for ‘j, s, y’.